Zach and I usually don’t plan out what we want to eat for the week until Sunday morning. Although we use similar ingredients on a regular basis, our creations are a different every week because we play around with spices and flavors. After breakfast on Sunday morning, we often come up with a menu for the week or sometimes we just go to the store for some inspiration. Last week we were hungry for Asian food. To be honest, I always want Asian food. It’s just so dang good, but we obviously would get tired of it quickly if we didn’t switch up the tastes throughout the month. We had curry from a restaurant we like, Thai Chili, last weekend and we realized we had never attempted to make a curry dish ourselves. Challenge accepted. Our meals last week consisted of the following. 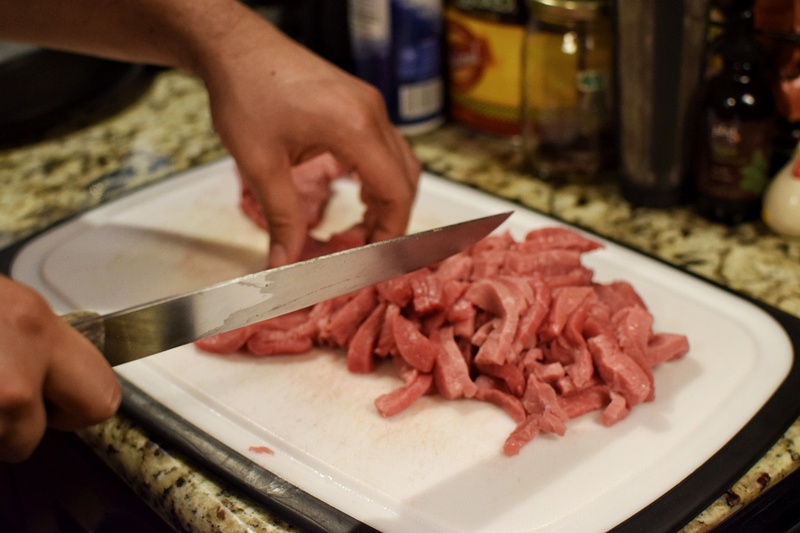 We usually start with anything that needs to be baked and move on to prepping anything that needs to be cut, diced, etc. Next is the meat. Breakfast is last since it is the quickest to make. 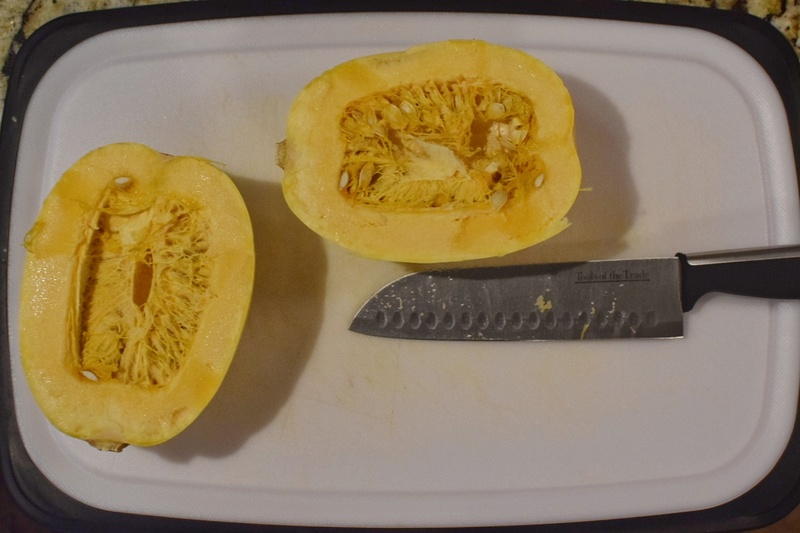 We started by getting the spaghetti squash in the oven. 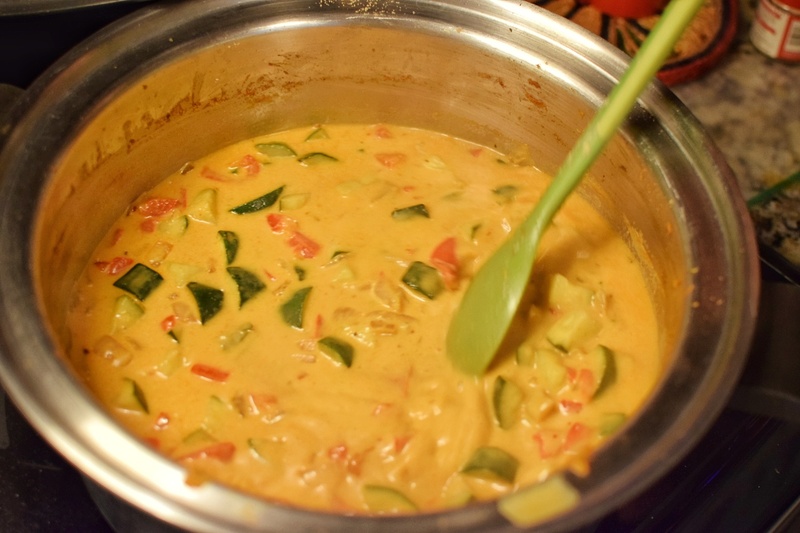 Then we prepped all the veggies for the lunch and started a curry sauce (see recipe at the bottom of the post). 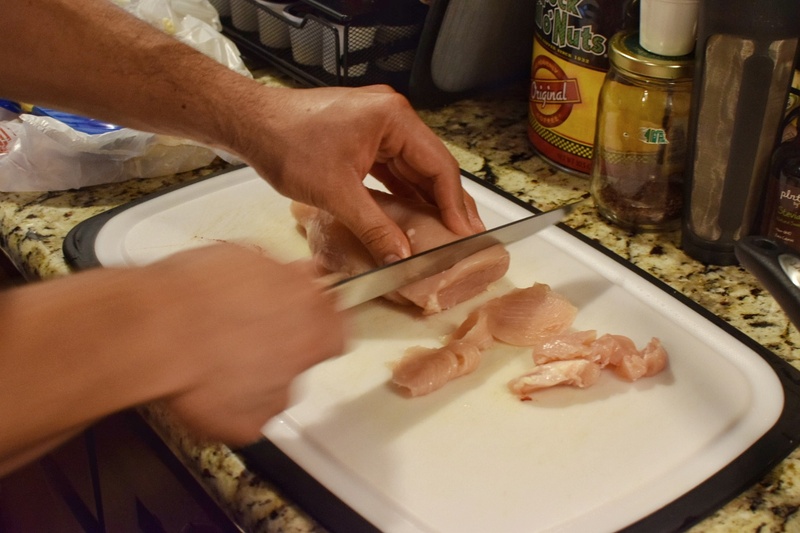 Zach likes to cut chicken into thin pieces when possible so that it cooks quickly. As I was working on the sauce, Zach was working on cooking the chicken. 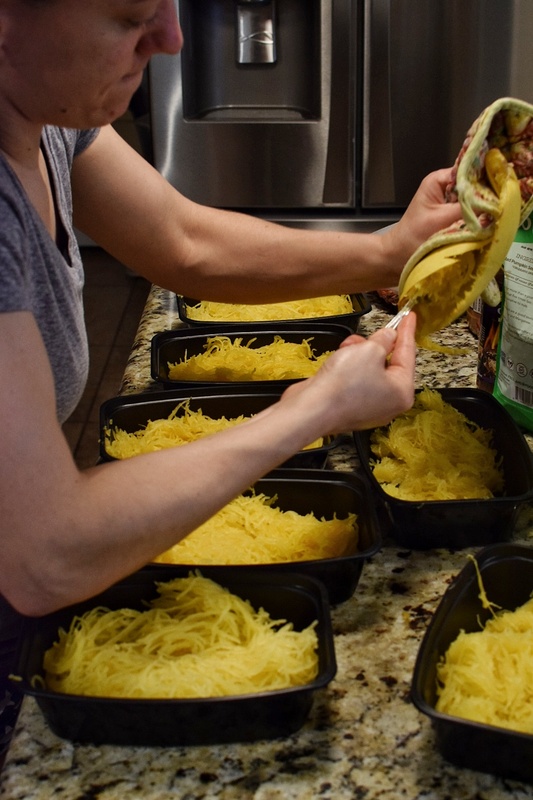 By the time the spaghetti squash was done, so was everything else for the lunches. We put the spaghetti squash at the bottom of our lunch containers and added everything else on top. We took the easy way out and only made the meat for dinner. We bought frozen cauliflower rice from Sam’s Club. Who know they had frozen cauliflower rice in bulk? This was easy enough to throw together every evening since it was basically just warming food up and cooking the veggies for a bit. I prep my breakfast so that I don’t lose my mind in the morning when running out of the house. Meal prepping breakfast and lunch has honestly made me 500 times happier when starting my day because I am not running around the kitchen at 7:15am trying to contemplate what I can possibly throw together in the three minutes I have before I need to leave. We only prep for Monday-Thursday, so sometimes this still happens to me on Friday morning if I am lazy on Thursday night. 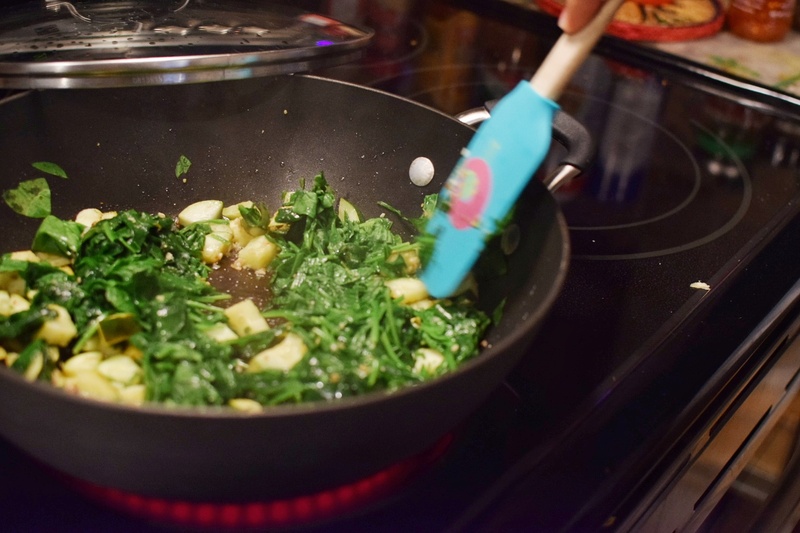 Sauteing the spinach and zucchini before adding the eggs. After heating up my breakfast in the morning, I add half an avocado and either salsa or ketchup and hot sauce (ketchup and eggs rock!). Overall, the week was delicious. Our first attempt at curry was delicious. We enjoyed all the meals. It was nice to have different options of meat for our dinners. 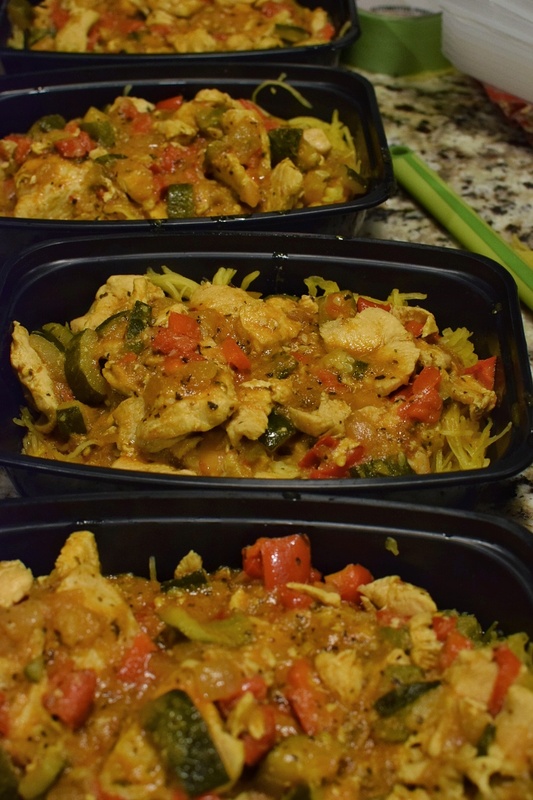 Curry chicken and spaghetti squash meal prepped. I hope you enjoy the recipe for the curry sauce. I usually start by looking over a few recipes I find online and change them up. This week, I started with a curry recipe I found on Williams Sonoma blog and then added or changed multiple ingredients for our liking. The original Williams Sonoma recipe is linked above, but the ingredients I used are below. Some of the ingredients we used for the curry sauce. Salt, pepper, dried basil, turmeric powder and ginger powder to taste (I just sprinkle until it feels right honestly and taste test to see if I need to add more. Saute the onion, bell pepper and avocado oil in a large pot until onions are translucent. Add the zucchini and curry paste. Stir to incorporate and cook for a few minutes uncovered. 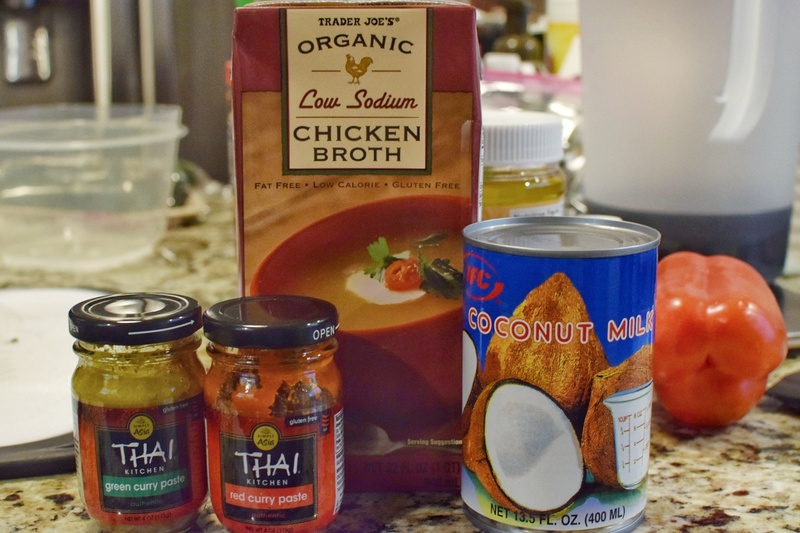 Add the coconut milk, chicken broth, and spices. Stir, cover, and bring to a boil. 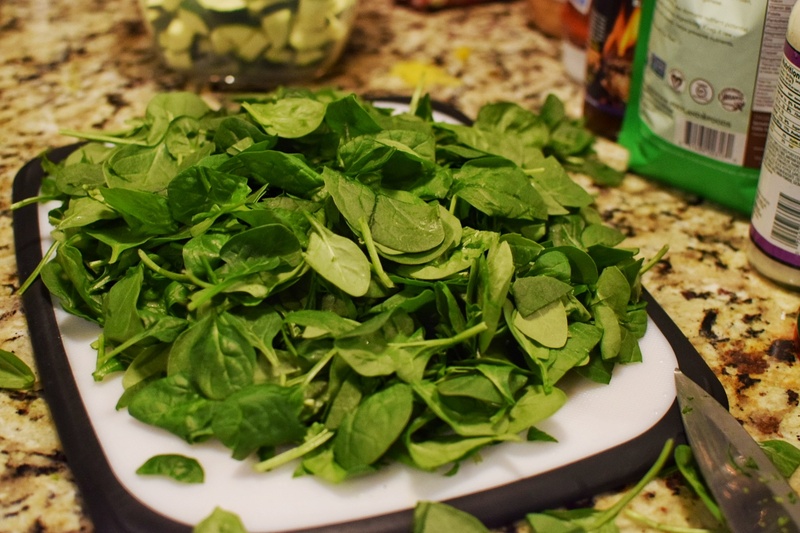 Once boiling, reduce heat and simmer for a few minutes while covered. You can also add cooked chicken at this point if you wish. Pour over noodles of your choice (we used spaghetti squash).